The Chinese government has opted to uphold the tariffs it had announced last year on imports of a raw material from the U.S. and South Korea. The material is known as solar-grade polysilicon and is used in the manufacture of solar panels. The move to uphold tariffs may have serious implications for China’s solar panel manufacturers, who produce more than half of the world’s supply of solar panels. 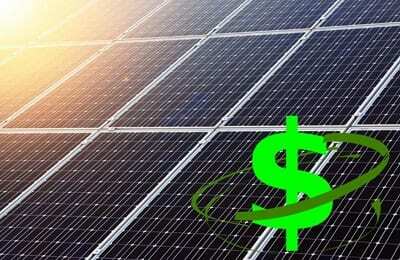 Manufacturers had hoped that the tariffs would be revised, alleviating some of the financial strain they have been facing in the solar market recently. The tariffs currently stand at 57% for materials coming from the U.S. and 48.7% for materials coming from South Korea. China believes that both countries have been selling solar-grad polysilicon at below-market prices in order to dump their supply. China itself has been accused of this practice in the past due to its rapid production and deployment of solar panels. In 2013, China was engaged in trade disputes with several European countries over the issue. China was also involved in a trade dispute with China, and tensions between the two countries remain high. In the wake of its trade disputes with Europe, China has taken steps to reform its solar energy industry. The government has cut back the subsidies it had provided to solar product manufacturers, allowing smaller companies to fail or be acquired by their larger counterparts. The government has also reduced the financial support it had been providing to large manufacturers, encouraging them to adopt more sustainable business practices if they wanted to survive. According to China’s Ministry of Commerce, approximately 36% of its solar-grade polysilicon supply comes from foreign sources. This material has been dumped into the Chinese market and this practice has impacted the country’s domestic production of the material significantly. The Ministry of Commerce notes that the cost of domestically-produced polysilicon has dropped by 92% since 2008.